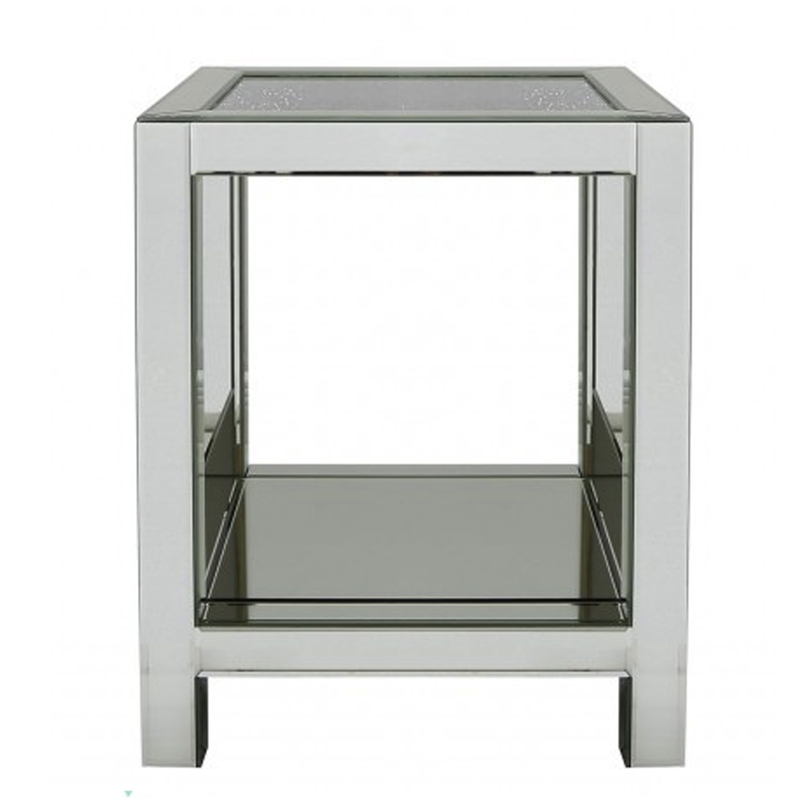 Introducing the newest addition to our mirrored furniture collection, this beautiful Crystal Mirrored End Table is the perfect addition to add to your home. With a complete mirrored exterior it will perfectly reflect your current interior. Topped off with a crushed crystal designed table top it shows nothing but class in a home.